Product is sold only in multiples of: 0.36 x Square meter/Box. Minimum order: 0.36 x Square meter. 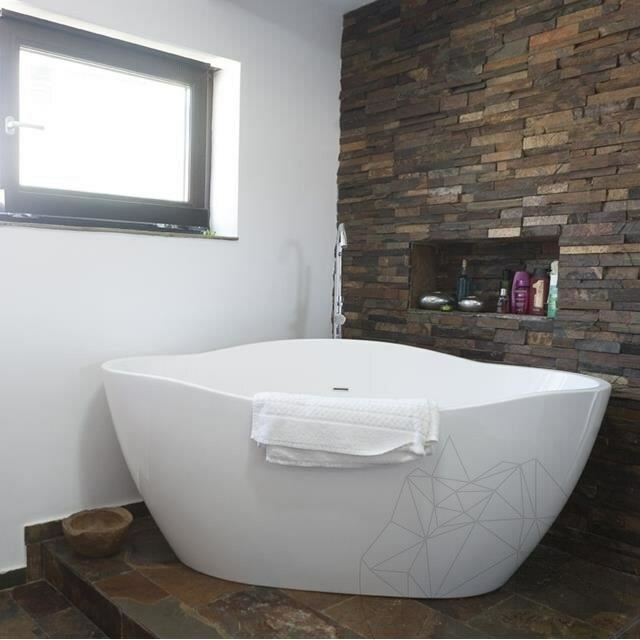 Decorative natural stone never ceases to amaze! 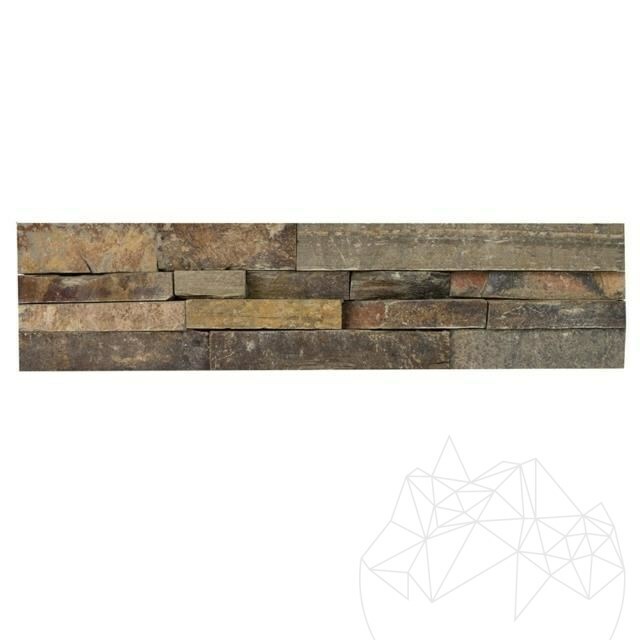 Discover the most desired stone panel of the year! We present you the Panel Brown slate, one of a kind modern look - extremely easy to install. 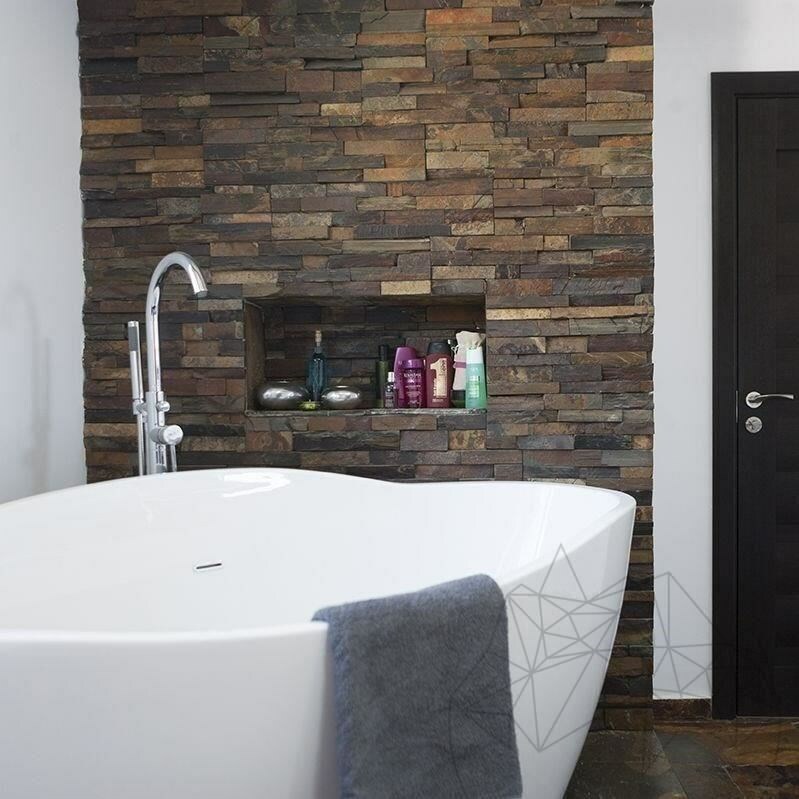 These panels made from decorative natural slate makes a great impression through its variety of colors and high quality. Our stocks are ready to be shipped internationally, no matter the quantity. If the project is up to 3 m high, it can be applied straight onto the heating system, wood, brick etc. If the project is higher than 3 m, it is mandatory to use arming net and multiple dowels in order to fix it onto heating system. If you wish to apply it onto drywall it is mandatory to use rabitz net. Is the plinth installed for interior panels? 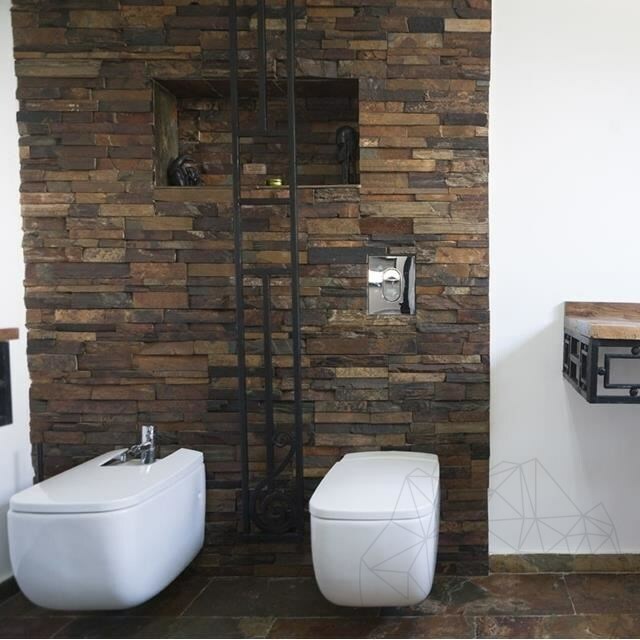 There is no plinth required; panels are installed all over the wall. 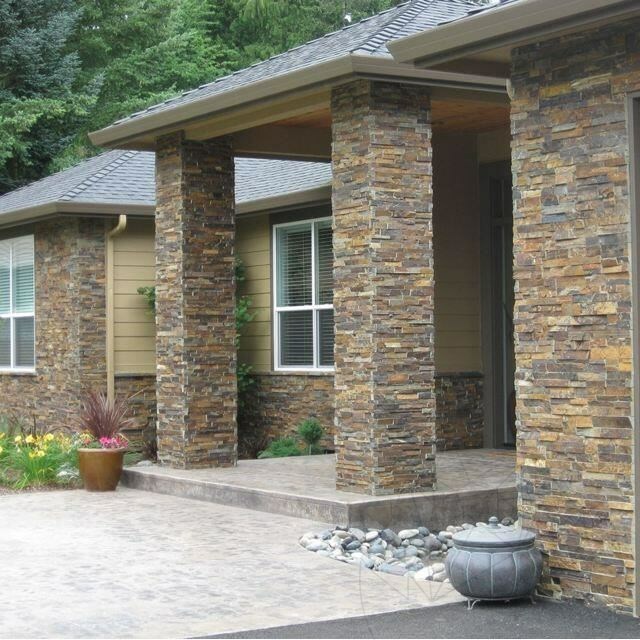 I want to buy natural stone for cladding a pillar, but I have no idea. What do you recommend? 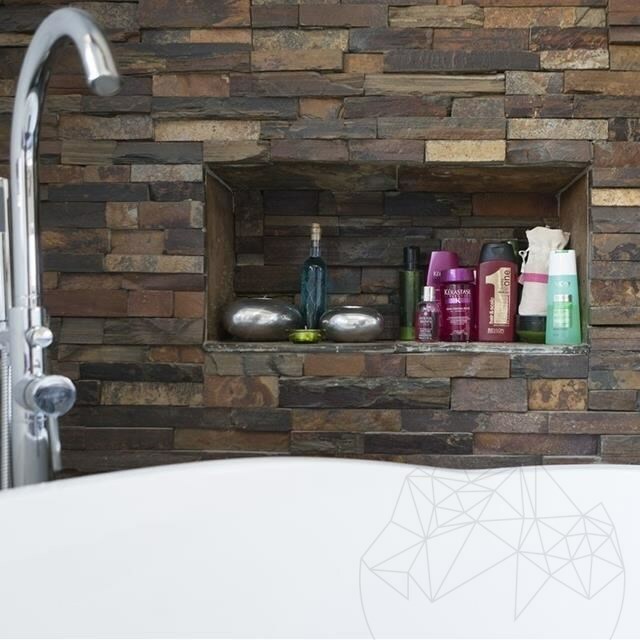 You can choose any type of natural stone depending on the interior design of your house. 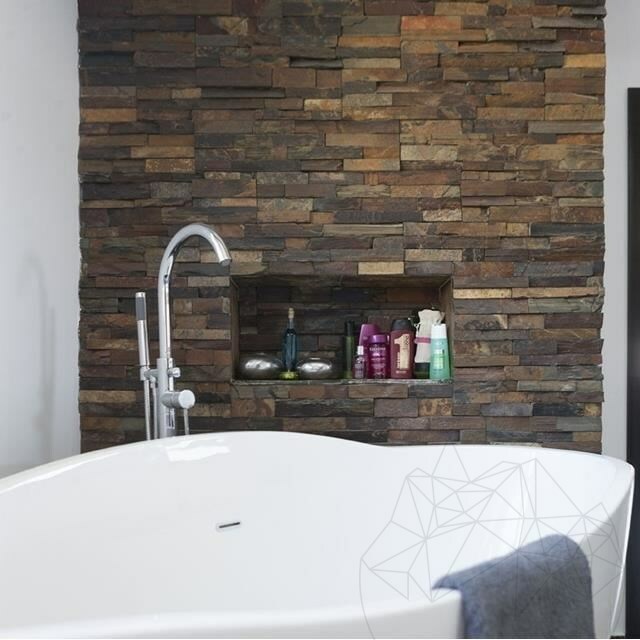 Any model that you like from “Natural Stone Mosaic” category, with any finish (splitface, panels) and keep in mind to buy adhesive (for example: Weber Marmo.Plus and sealer, for example LTP Mattstone).